Born on February 8, 1926, Sheila Y. Kendall entered into rest on August 22, 2018 in Manteca, Ca. Sheila was married in the Lutheran church 63 years ago to her beloved husband Robert Kendall. She retired from San Mateo County as a county clerk. 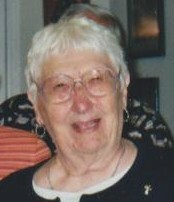 She enjoyed spending time with her husband, socializing with friends and horseback riding. She will be remembered as a devoted wife and loyal friend.